I am going to start something new. 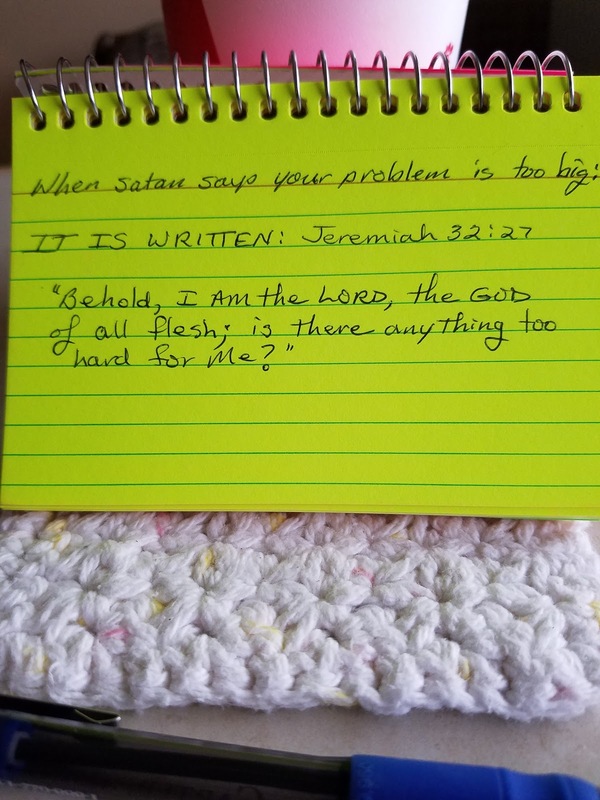 You have all heard me talk about my scripture snacks, 3x5" spiral bound index cards that I write scriptures on to keep in my purse or nightstand to keep favorite scriptures handy. 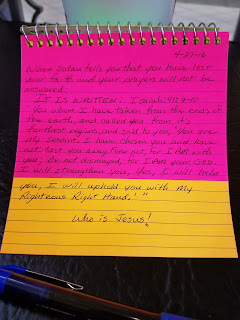 Well, I had an interesting conversation (prayer time) with the LORD and I really got the an impression that I want to share with you. Do you remember the move in the 70's where we entered into the LORD's presence during our prayer times and church services and the worship music would pause and we would all sing in the spirit in a beautiful melody that would just flow and ebb and it was awesome? Do you remember the healings by the dozens as we lined up at the front for prayer? Do you remember the move of the Holy Spirit as people would fall down because they were too weak to stand? Do you remember normal people would all of a sudden start speaking and prophesying? If you don't remember, it did happen. And it happened all across the US. It was a mighty move of GOD and it left some of us still "touched". Well, He says that is nothing compaired to what is coming. During the end-times and the tribulation every devoted child of GOD will be walking in the Spirit 24 hours a day. We will be just like the early church, walking in miracles and the strength of the LORD. It is the secret place if you will to be in His presence. Not only will He provide complete protection but provision and unbelievers will be ministered to in miraculous ways and be saved during the tribulation! 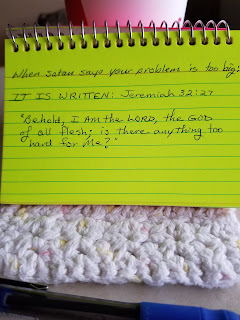 It doesn't matter what satan throws at us, GOD will handle it. Right now we need to be building ourselves up in our faith. 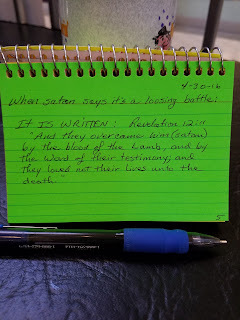 When Jesus was in the wilderness and satan came to tempt Him, Jesus responded to each attack with scripture, "It is written . 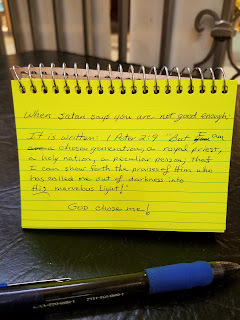 . ."
satan says you are not good enough. It is written: "1 Peter 2:9 But you are a chosen generation, a royal priesthood, an holy nation, a peculiar people; that you should show forth the praises of Him who has called you out of darkness into His marvellous light." GOD has chosen ME! And then you write that down in your 3x5" index card pack. 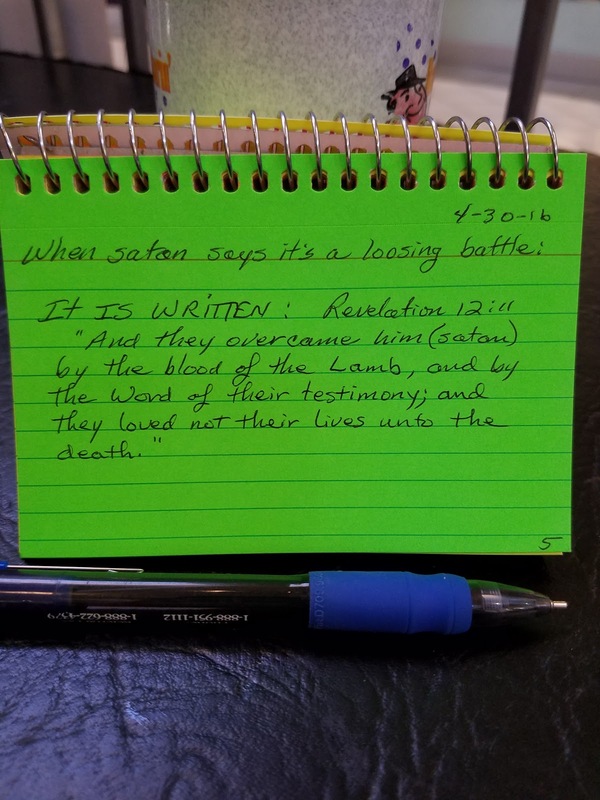 Pretty soon you will have a mighty arsenal of scriptures to confront anything that satan hurls your way! Praise the LORD who reigns in glory! Paul says he glories in his weakness so Jesus (GOD) could be stronger in his life. We are told to praise GOD in our tribulations. To praise Him in all things. If anything is pure (etc) to think on these things. 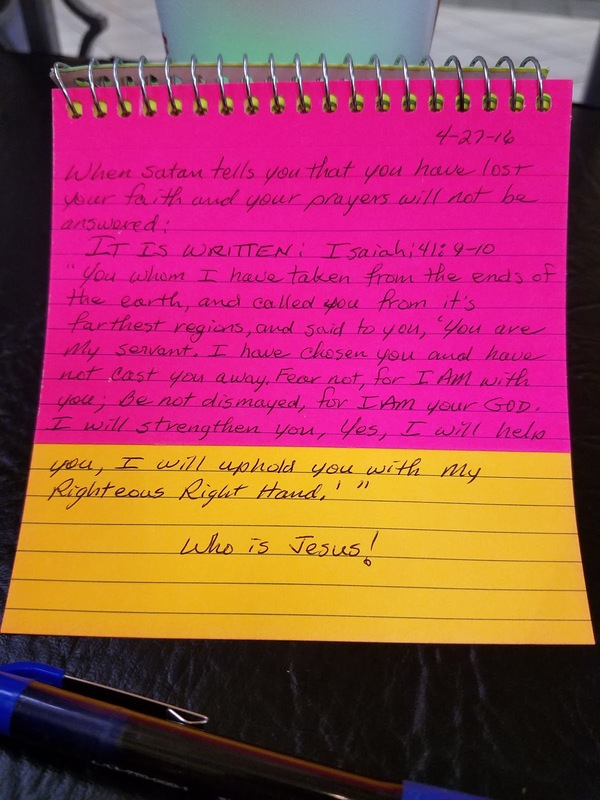 Why did Jesus let Lazareth (his very good friend) die? Why did Jesus insist his disciples get into the boat to row to the other side and stay on shore himself when he knew a gale was coming? To show Himself strong for us. To make miracles happen so that we know He exists. To reveal to a lost and dying world that there is a Holy Saviour who loves us and wants to have a relationship with us HERE on earth, AND in the life to come. To prove to the naysayers that they are wrong, there is a GOD. If Lazareth had not died, Jesus could not have raised him from the dead in front of a huge crowd and Glorify GOD. If the disciples had not obeyed, their faith could not have been tested and strengthened. 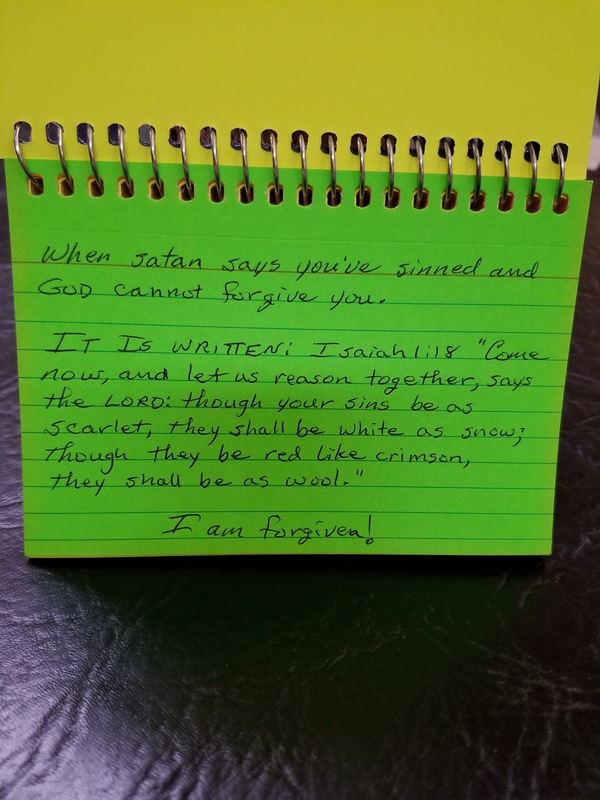 Miracles are so the unbelievers have no excuse anymore and are faced with a choice: do you deny GOD and what you just experienced for yourself and believe a lie, or do you embrace Him? All creation declares that there is a GOD, yet godless men deny that every day. When you praise GOD in the midst of your pain and suffering, you bring youself into the throne room and allow Him to be your remedy! In this life you are going to have tribulations. Whether they are because of your sins or not, the remedy is the same. 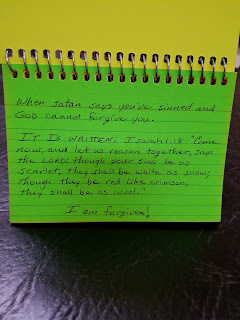 Go to the LORD in prayer, repent of your sins and receive your forgiveness. Then know that this situation was ordained by GOD from before time for you to learn, to increase your faith, to mature your spirit man, to increase your dependance on GOD, and rest in His answers. And start praising GOD because He is God and you are His child! Think of it like this: Jesus is watching you. A situation arises. You start beating yourself up with the bat of 'shame and guiltiness' that satan hands you. All of a sudden you remember you are a child of GOD and your sins are forgiven. You go to prayer and praise the LORD for His love and compassion and supply and presence and answers and constant care in thanksgiving! Hallelujah! And then the Father and Jesus and the Holy Spirit jump with joy and leap into action because that's what they were waiting for all along, for you to release everything to you that you need and more because you learned to depend on them! Our human nature is to get depressed and self-blaming and sit on the pity-pot when things happen. But WE ARE CRUCIFYING THE FLESH and the Holy Spirit is teaching how to become children of GOD!